Sometimes our lovely pets take the place of an entertaining object. They are so innocent that unknowingly sometimes they go through a lot of activities that becomes entertaining for us. 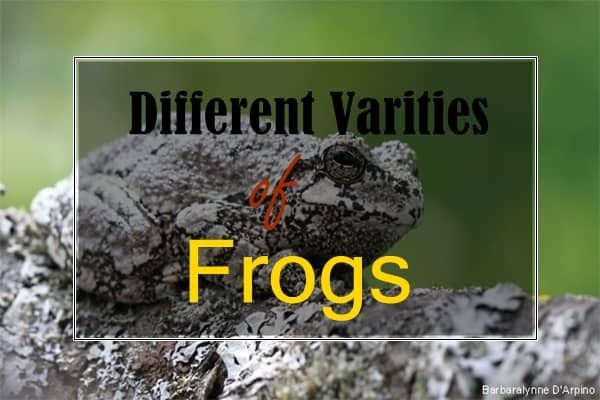 In fact sometimes they look so different that it becomes hard enough to identify them. 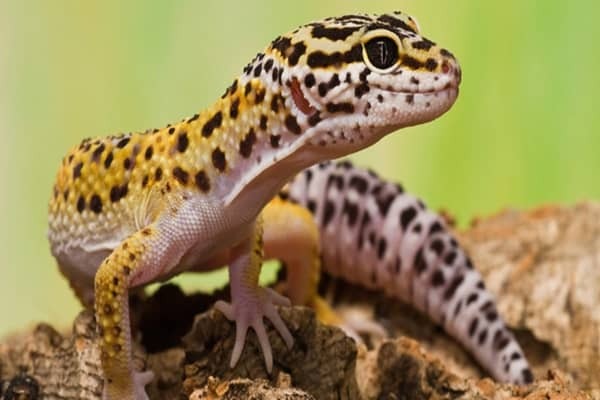 Here we are going to talk something like these related to cats. 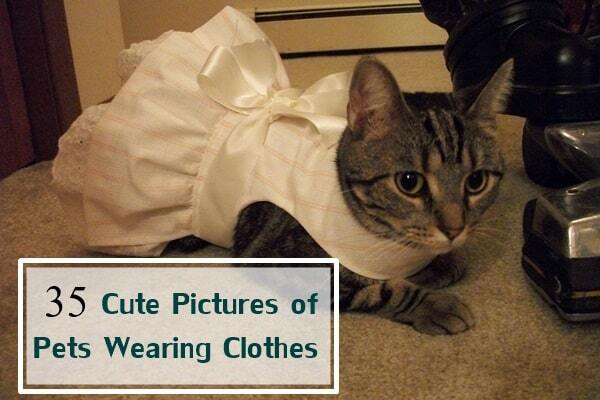 Cats are one of the most high demanding animals on the internet. 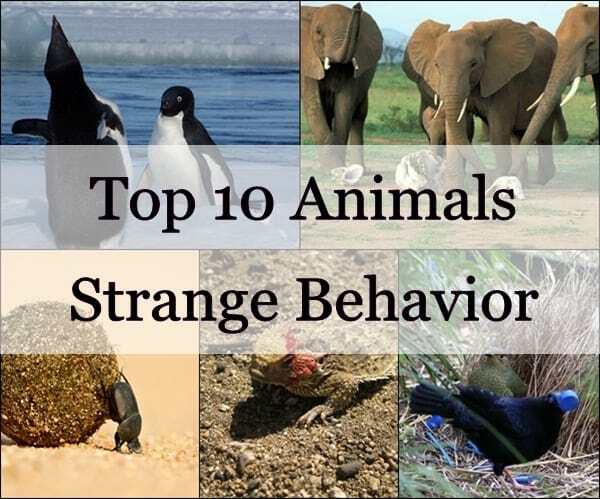 So we choose them to make an entertaining article by some of the examples that will prove you that sometimes these felines don’t want to look like them. 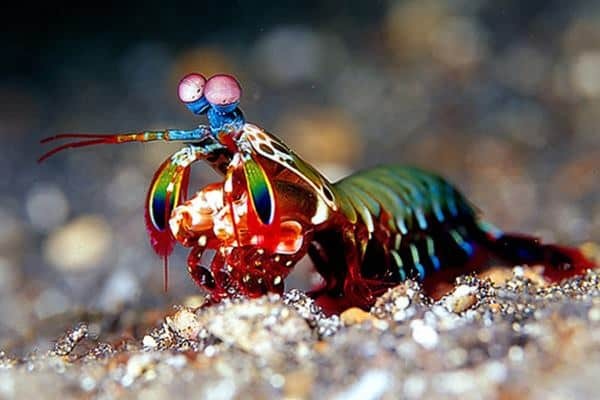 These cats below really looks like something different at times. 1. 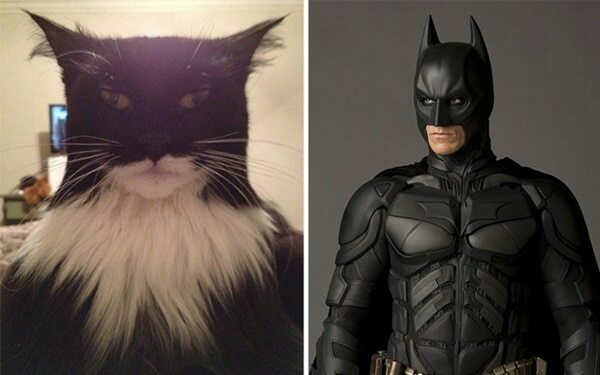 Batman Cat: Look at this cat below and this will make you remember the character of batman. Probably this cat is looking forward to jump into the fiction world. 2. 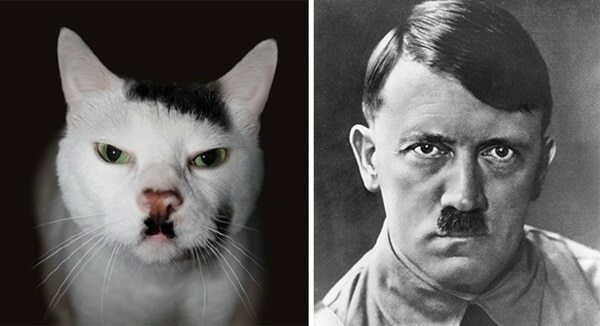 Hitler Cat: Can you ever imagine that a cat can look exactly like a Hitler? Look at the cat below, and you will find that there is no difference at all. 3. 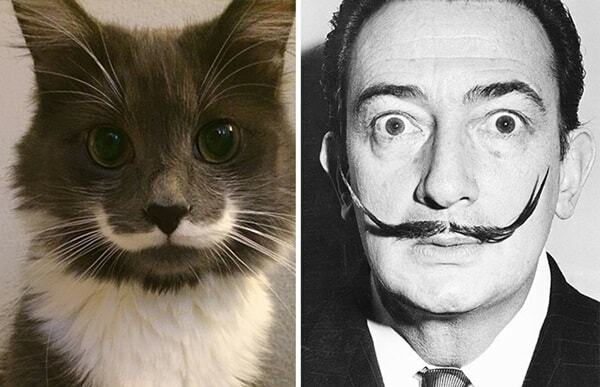 Hipster Cat looks like Salvador Dali: According to us it mostly looks like Salvador Dali but some may say that it also have a great similarity with Hercule Poirot. 4. Cat Looks like a Roasted Chicken: It’s really yummy in that sense. Roasted chickens and cats are so much similar? Have a look on the pose of this cat it’s really looking like a roasted chicken. 5. 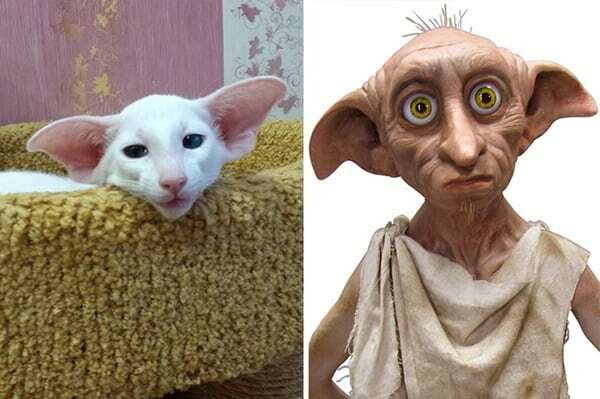 Cats look like Dobby: It seems that the picture of dobby was created by the inspiration of this cat. They both look exactly same. 6. 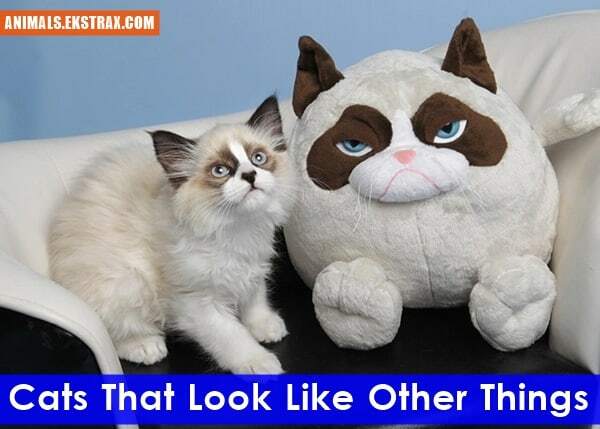 Cat like Fluffy Toy: Look at the fluffy toy and the cat beside, they both looks same. 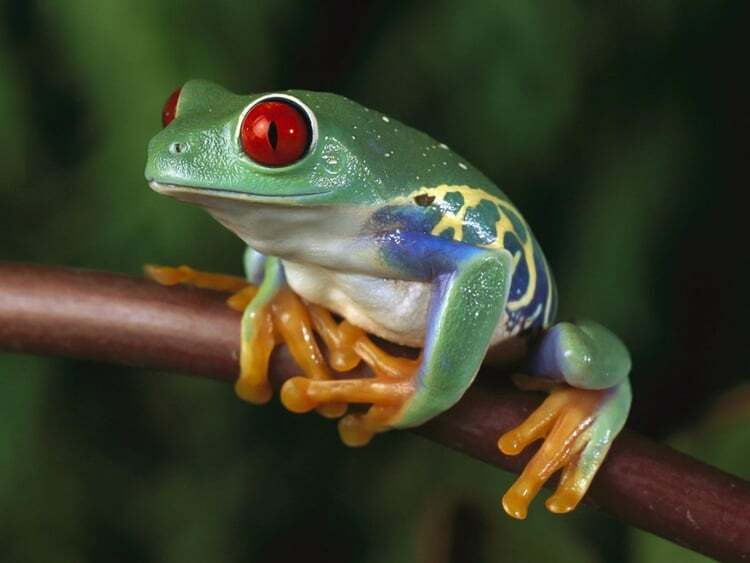 The difference is that one is living and another is non-living. 7. Cat looks like exactly like Jamie from Mythbusters: Can you remember Jamie from the mythbusters. 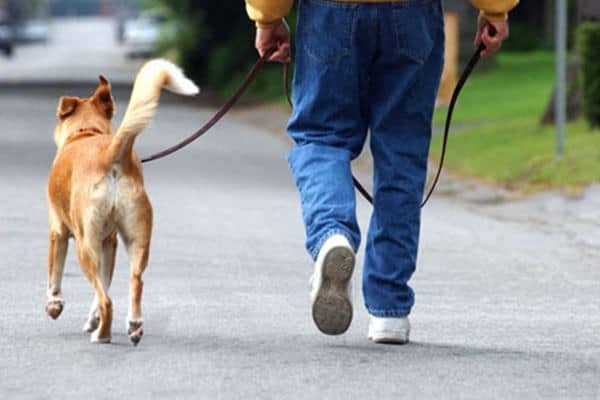 Think of him and the cat, you will get to the point. 8. Wilford Brimley and this Mustache Cat: Look at the face of this angry cat. 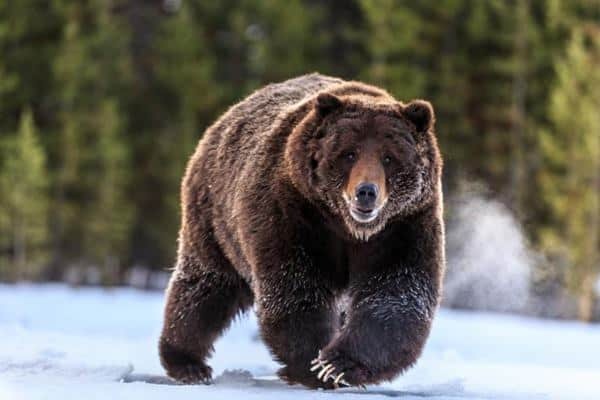 It seems that you are going to face an attack. 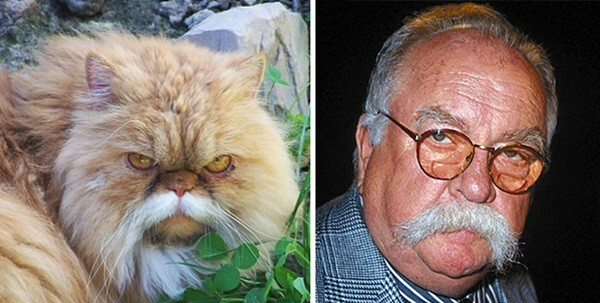 But the funniest thing is that it is looking similar to Wilford Brimley. 9. 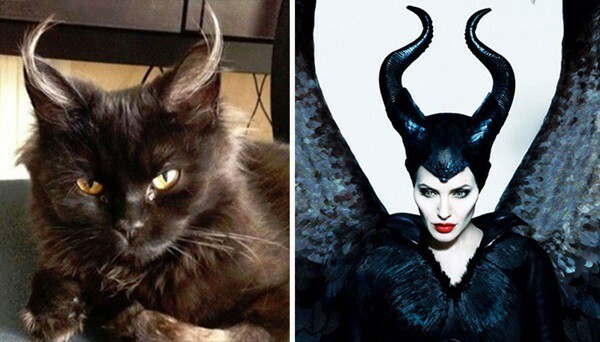 Cat and Maleficent: See the ears of this cat, it almost look like animal horns. But here we have found a similarity with Maleficent. 10. 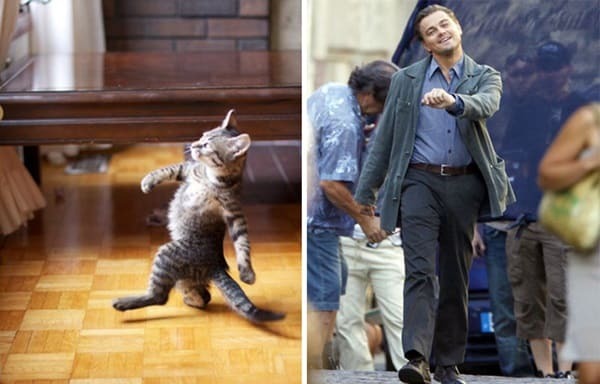 Strutting Cat and Leo: Leonardo Dicaprio is no doubt one of the greatest actors in the world. And probably this cat knows the fact. The cat is probably trying to copy him. 11. Rug and a Cat: How is it feels when you see that your cat is looking almost like a rug? 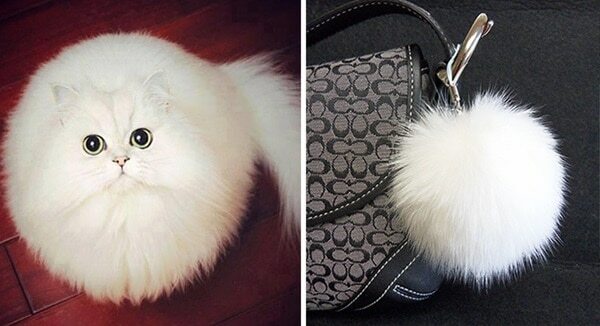 This cat exactly looks same. Be careful you may even make a mistake with cat and a rug. 12. 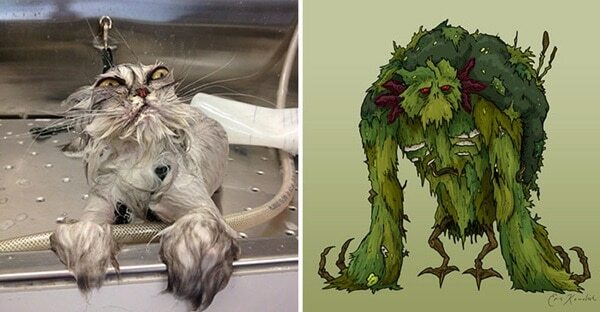 Cat looks like Swamp Monster: See this cat after bathing condition and remember the image of a swamp monster. Both of them are exactly the same. 13. 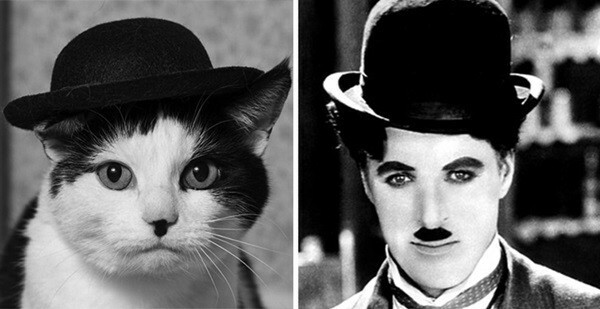 Chaplin Cat: Now it’s time that these cats are paying tribute to Charlie Chaplin. Here it’s not all about the hat; it’s about the Chaplin mustache as well. 14. 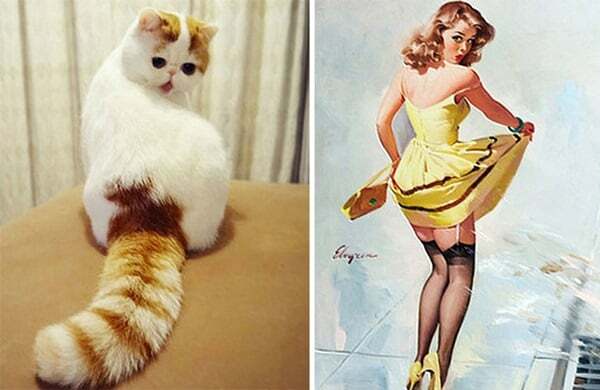 Pin up Cat: Look at this amazing picture below how the cat is pretending same like the model in the picture. She is pretending the same like pin up girls. 15. 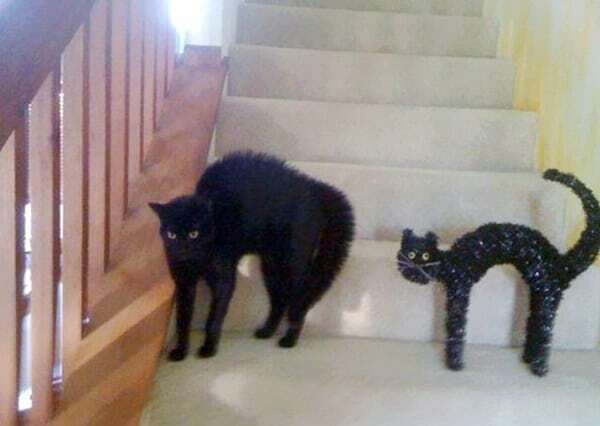 Cat looks like Halloween Decoration: See the Halloween decoration first and then the cat beside. 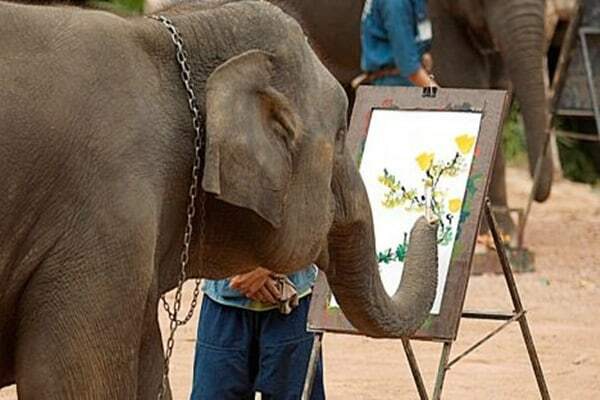 Actually the cat is trying to copy the showpiece and giving a beautiful pose. 16. Cat absolutely like Mr. Burns: Here the cat will remind you about Mr. Burns. See the face first and then the hands are also in the same pose. 17. 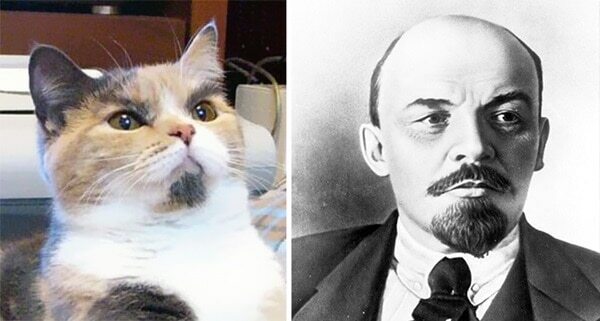 Lenin Cat: See the lovely beard style two of them has. They are almost similar. So we can easily say it as Lenin Cat. 18. 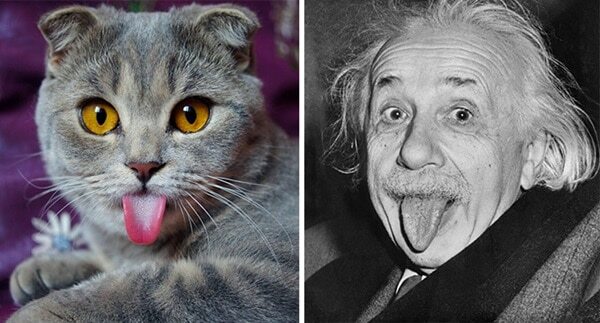 Cat looks like Einstein: This cat is really a science lover and an admirer of Einstein. 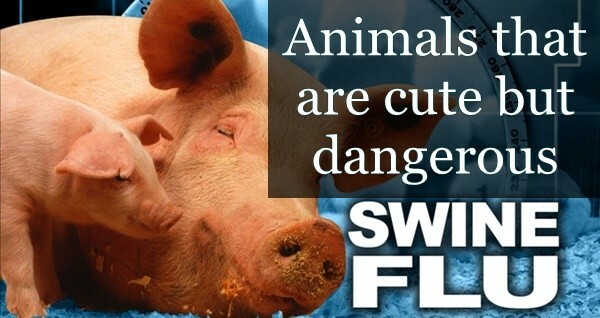 We can easily be sure about that by looking at their face and specially the tongue. 19. 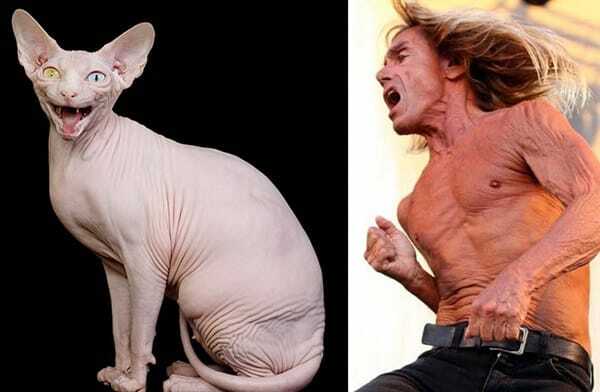 Hairless Cat looks like Iggy Pop: See this Sphynx Cat and the body of Iggy Pop. They are almost same. Sphynx is a hairless cat and very rare. 20. 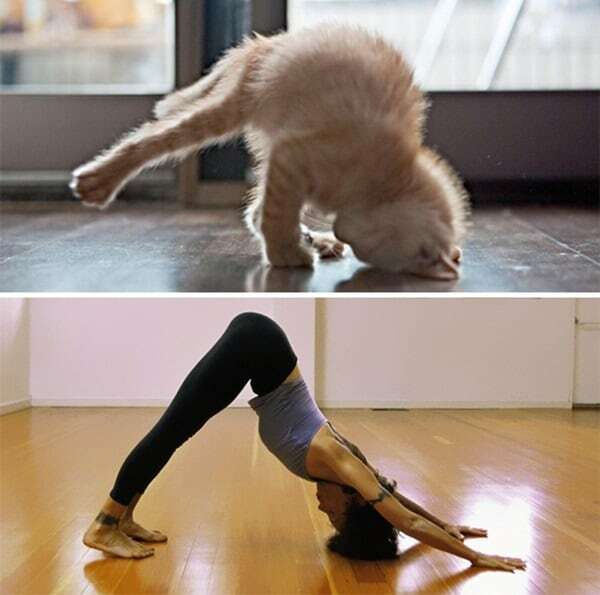 Yoga Cat: See the cat practicing yoga at home to keep the body fit. 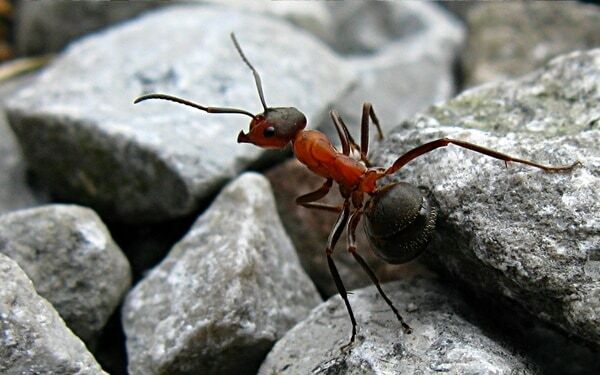 See the pose is almost similar done in the below picture by a woman. 21. Cat looks like Voldemort: Can you memorize the picture of Voldemort? Yeah! Now look the cat. 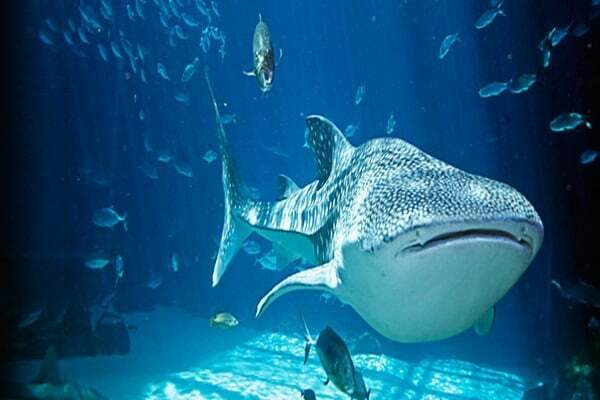 They have almost the similar face. 22. 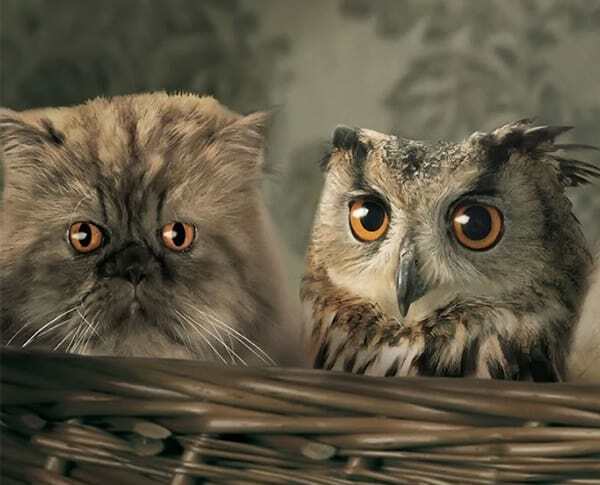 Cat like an Owl: This cat really looks like an owl beside. Even it will tough for you to separate them by seeing their face. wrong actually the star fruit looks like the cat.